Quality food with integrity, generous portions and unique flavor. 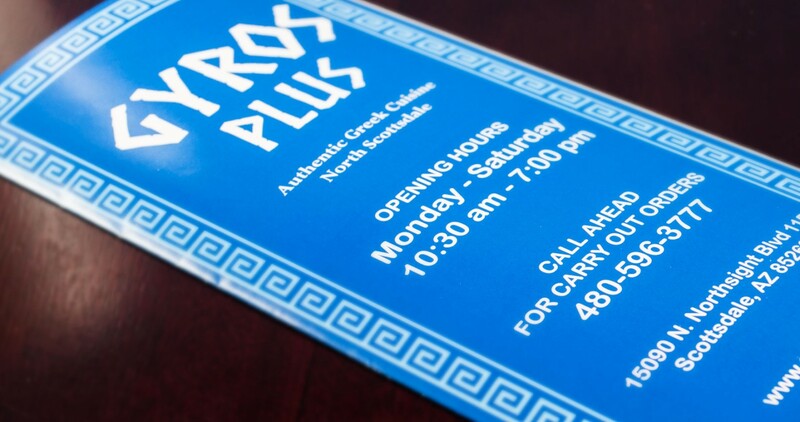 Located in North Scottsdale, Gyros Plus serves up quality foods with generous portions and unique flavor. 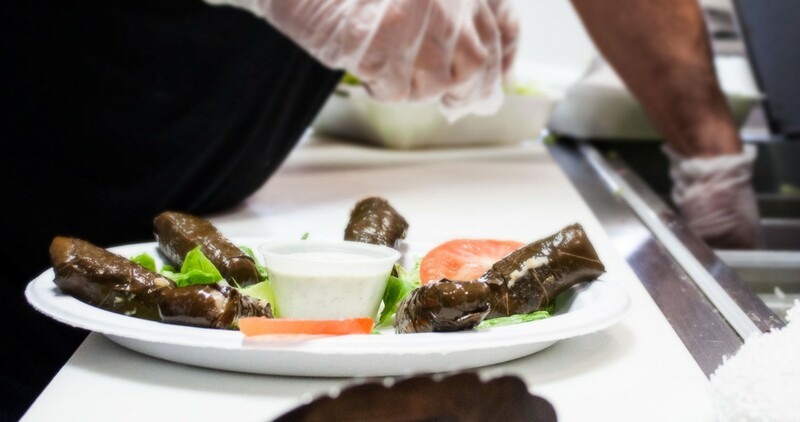 At Gyros Plus, every dish is created using only the freshest, finest ingredients. We never use frozen ingredients, and there is no microwave oven at Gyros Plus. We serve only the best meats, the freshest rice and vegetables, and desserts that are baked fresh daily. Our authentic menu and atmosphere create a truly enjoyable dining experience. with only authentic ingredients made from scratch. Our authentic and diverse selection includes an appetizer to suit every taste. House blended chickpeas, tahini (sesame seed oil), olive oil, garlic spices and lemon juice. Served as a dip with pita bread. 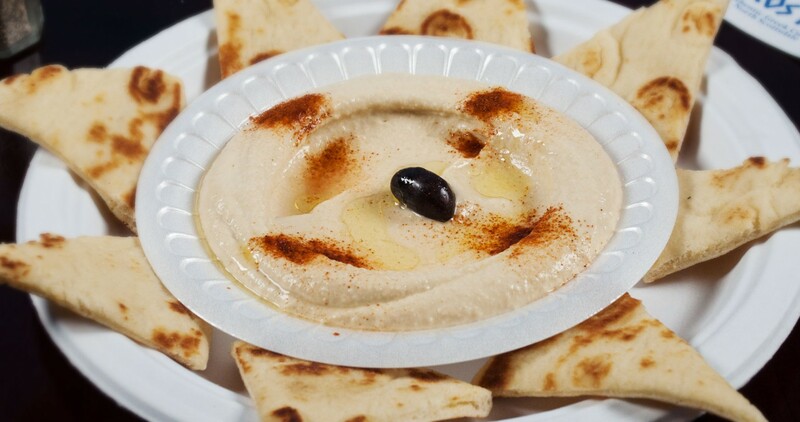 Hummus with the choice of a meat: Gyro, Chicken, Souvlaki, Falafel, Steak Kefta, Chicken Gyro or Fish. Charbroiled eggplant blended with tahini sauce, olive oil, fresh garlic and lemon juice. 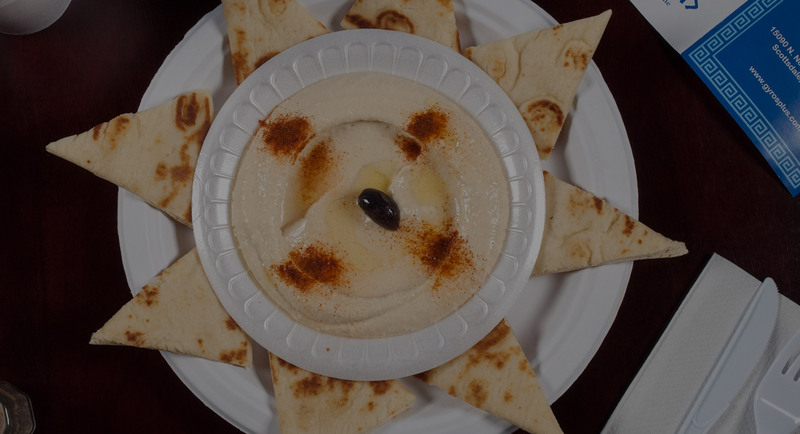 Served as a dip with pita bread. Combination of rice, parsley, tomatoes, onions, dill, garlic, olive oil and a twist of lemon juice, stuffed in grape leaves. Two pieces of spinach-cheese pie, made from a special mix of spinach and feta cheese with several layers of filo dough. Marinated pork loin charbroiled over an open fire, thinly sliced and layered on pita bread with lettuce, tomatoes, onions and our famous Tzatziki sauce. 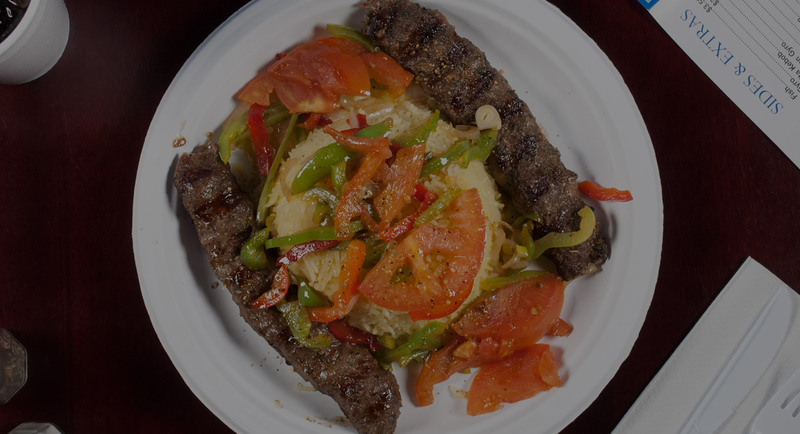 A taste of ancient Greek food, our traditional signature Pitas and Kabobs. 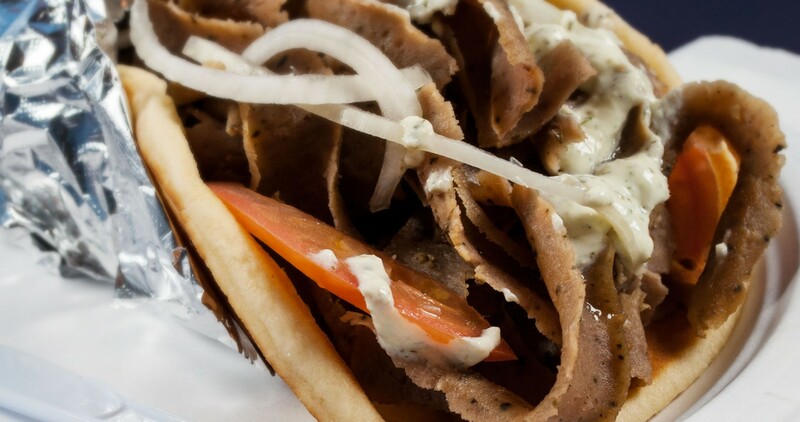 Seared layers of select beef and lamb perfectly seasoned with zesty spices, broiled on a vertical skewer, thinly sliced and served on pita bread with onions, tomatoes and our famous Tzatziki sauce. Seared layers of seasoned chicken, broiled on a vertical skewer, thinly sliced and served on pita bread with onions, tomatoes and our famous Tzatziki sauce. Golden brown nuggets of ground chick peas, parsley and spices, deep fried. 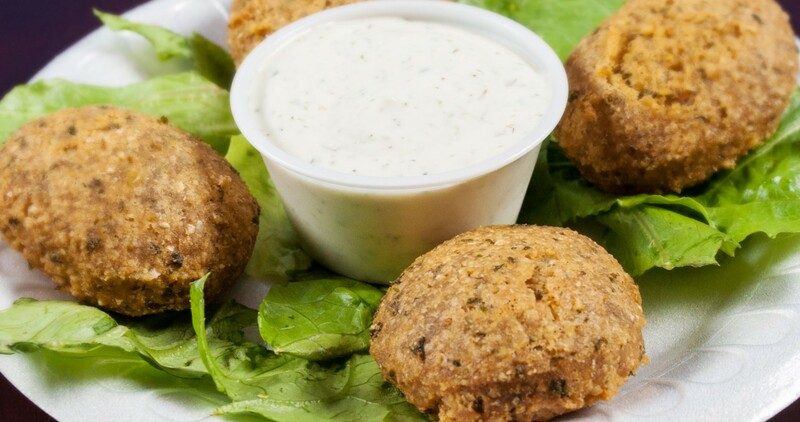 Served with lettuce, tomatoes, onions and our famous Tzatziki sauce. Marinated chicken charbroiled over an open fire, thinly sliced and layered on pita bread with lettuce, tomatoes, onions and our famous house dressing. Marinated steak charbroiled over an open fire, thinly sliced and layered on pita bread with lettuce, tomatoes, onions and our famous house dressing. Ground beef seasoned with Mediterranean spices, tomatoes, onions, romaine lettuce and Tzatziki sauce. Romaine lettuce, cucumber, tomatoes, green peppers, red peppers, hummus, and choice of Tzatziki sauce. Must try classic dishes that delight Greek food enthusiasts the world over. 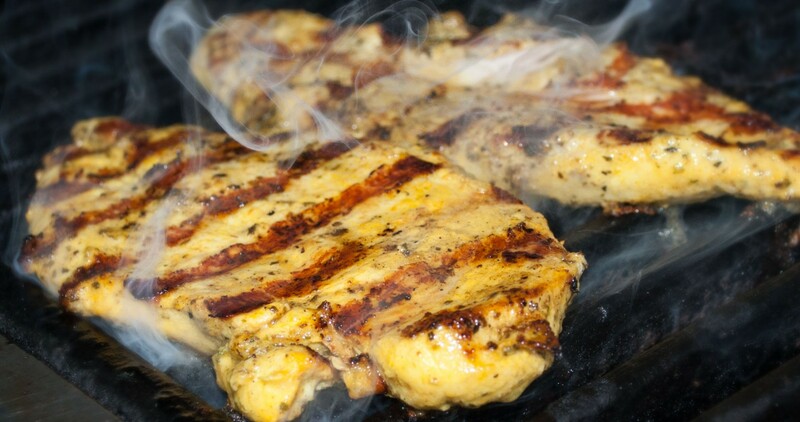 Marinated chicken charbroiled over an open fire, and served with rice, pita bread, Greek Salad and and our famous Tzatziki saouce. Marinated steak charbroiled over an open fire, and served with rice, pita bread, Greek Salad and and our famous Tzatziki sauce. Tilapia fried and served with grilled red and green peppers, rice, pita bread, Greek Salad and and our famous Tzatziki sauce. Marinated pork charbroiled over an open fire, and served with rice, pita bread, Greek Salad and and our famous Tzatziki saouce. 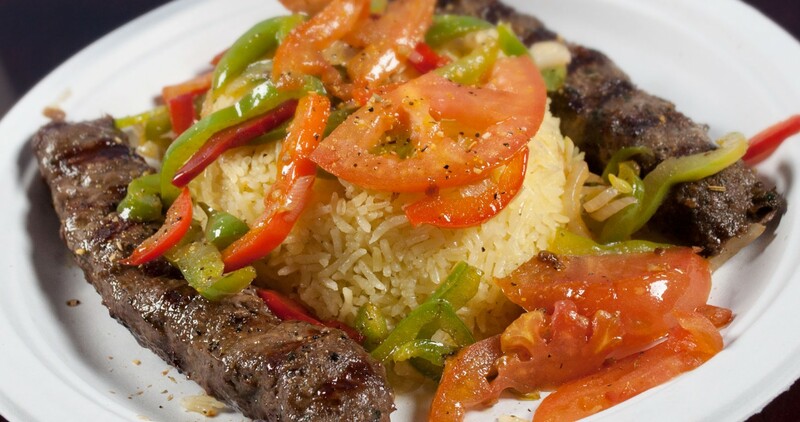 Served with rice and choice of any 3 meats, salted green and red peppers, onions, pita bread, and a small Greek Salad. Served with rice and choice of any 2 meats, salted green and red peppers, onions, pita bread, and a small Greek Salad. Fried cod with fries and tartar sauce. Hummus, Baba Ghanouj, Dolmas and Falafel. 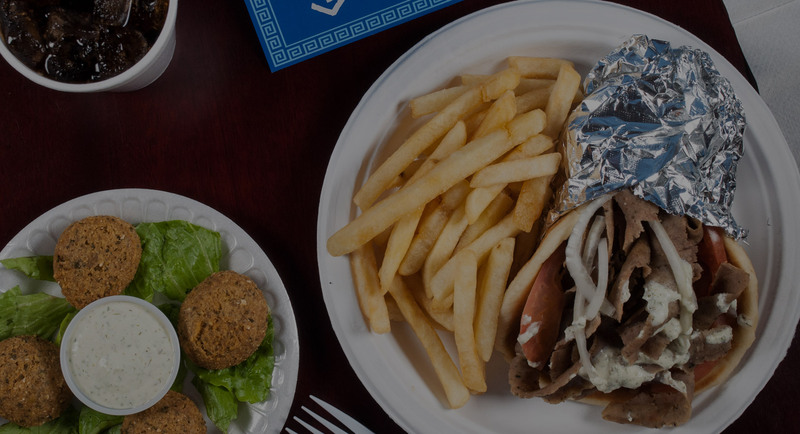 When it comes to both sandwiches & burgers, Gyros Plus serve up the best in the area. Thinly sliced rib-eye steak, layered with onions, green peppers and cheese. Thinly sliced roast beef marinated in our BBQ sauce and served on perfectly baked French bread. Tender chicken nuggets fried to perfection and served with ranch dressing. Breaded strips of tender chicken breast, deep fried and served with Tzatziki sauce or ranch. Juicy beef with lettuce, a tomato slice, onion, pickles and ketchup served on a freshly toasted bun and a special house dressing. Juicy chicken with romaine lettuce, a tomato slice, onion, pickles and ketchup served on a freshly toasted bun. These items come directly from Chicago 100% Authentic Vienna Beef. 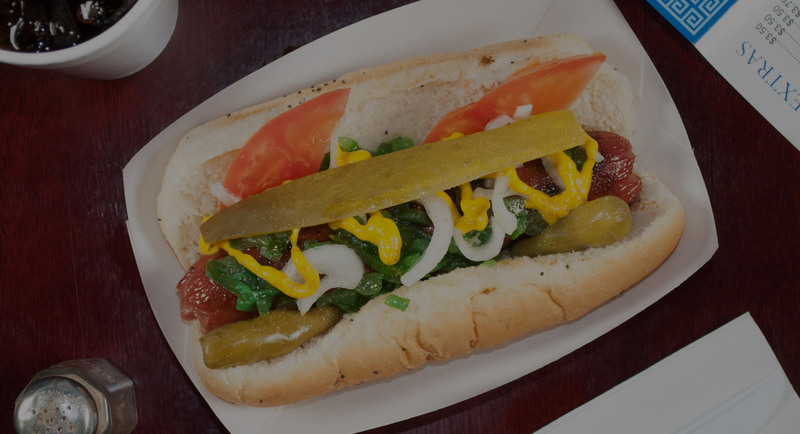 An all beef hot dog served just the way you would get it in Chicago. 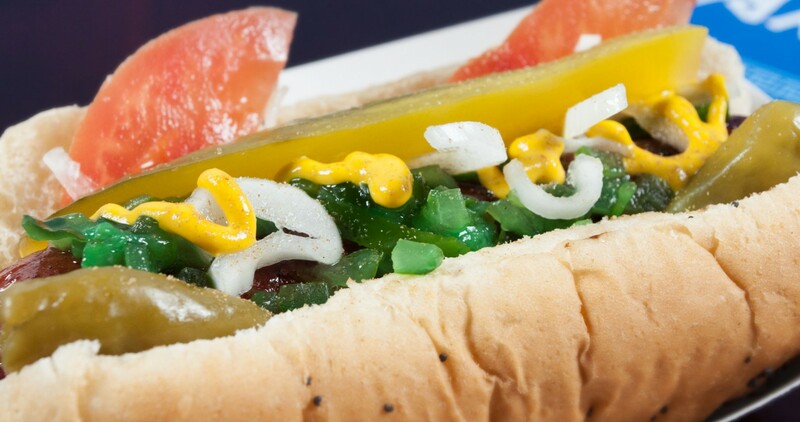 Our Chicago Dog with cheddar cheese and your choice of toppings. Our all beef hot dog smothered in chili and onions. Our all beef hot dog smothered in chili, cheddar cheese and onions. Served with mustard and lots of grilled onions. Simply the best, our great selection of Italian sausages and Chicago style beef sandwiches. Our own famous recipe, served on perfectly baked French bread. We recommend adding homemade sweet or hot peppers to your sandwich. 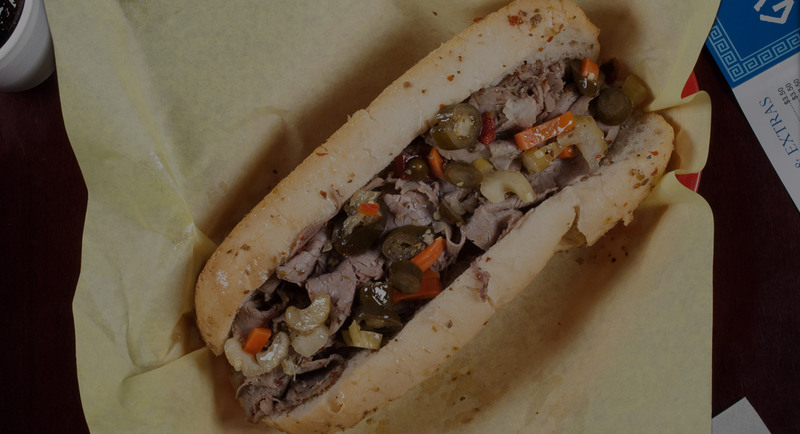 Italian Beef served with your choice of Mozzarella, Swiss or Cheddar. Mild Italian Sausage freshly grilled and served with mustard and grilled onions on a freshly steamed poppy-seeded bun. Italian Sausage and Italian Beef served together on perfectly baked French bread. We recommend adding homemade sweet or hot peppers to your sandwich. A Chicago tradition, deep fried and delicious - A mixture of pizza sauce, ground pork and mozzarella. 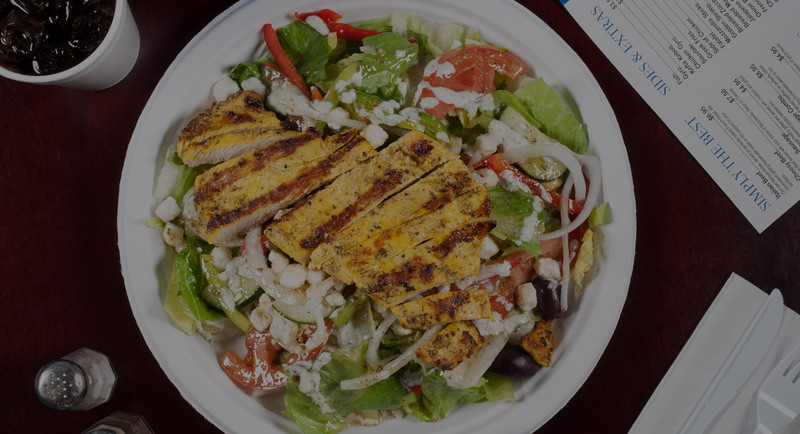 All of our salads are made to order to guarantee freshness, served with out signature chicken marinated or Tzatziki sauce. 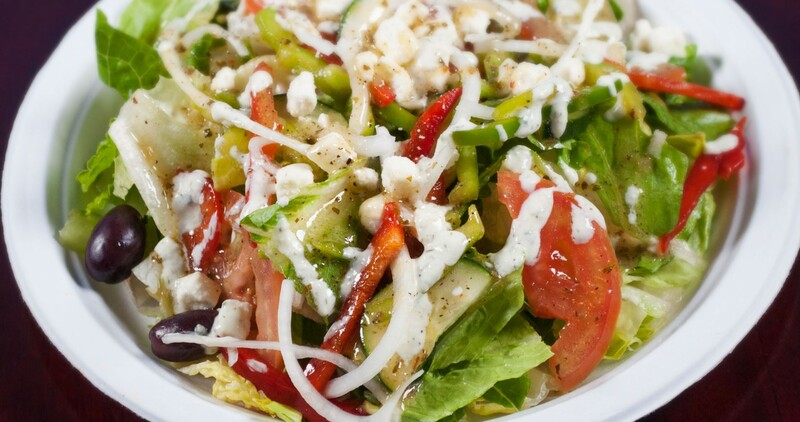 A blend of lettuce, tomatoes, onions, red and green peppers, cucumber, feta cheese, kalamati olives and a twist of our homemade house dressing. A blend of Romaine lettuce, Caesar dressing, parmesan cheese and croutons. A blend of lettuce, tomatoes, onions, cucumbers, with your chioce of dressing: Ranch, Italian, House, 1000 Island or Honey Mustard. Gyro, Chicken, Souvlaki, Falafel, Steak Kefta, Chicken Gyro or Fish. 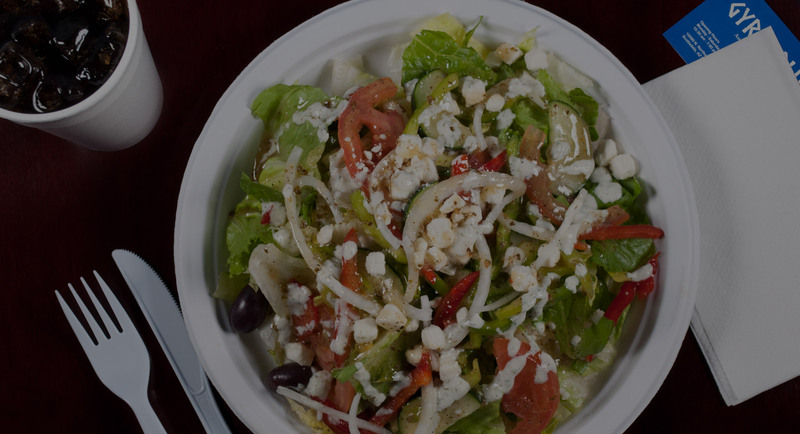 A blend of lettuce, tomatoes, onions, red and green peppers, cucumbers, feta cheese, kalamati olives and a twist of our homemade house dressing. Same as the Pick-A-Meat Salad with two meats. Hand-crafted by artisan bakers, our classic baklava is prepared by combining dozens of layers of our own crisp, buttery fillo pastry leaves, walnuts and aromatic spices, and our special honey syrup. Make any sandwich a meal by adding fries and a regular drink for only $2.25 more. Cold beverages from the can or fountain drinks. or contact us below using our contact form to place your order for catering. We'll help you decide what to serve and then deliver it to you freshly prepared. We are passionate about creating an outstanding experience for you each and every visit. If you have a question, comment or suggestion, we'd love to hear from you. We are grateful for your feedback. Thank you for taking the time to contact us. "Traditionally, I don't even like Greek food, but this place is AMAZING.